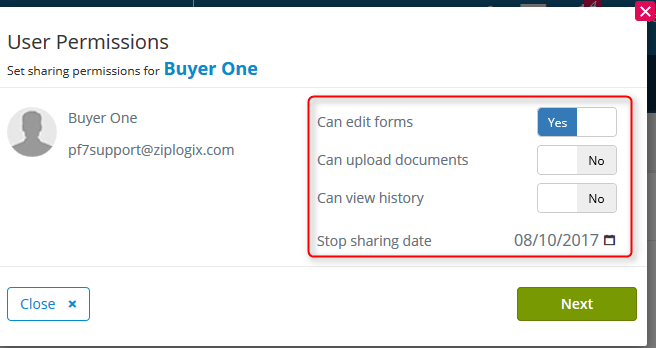 Collaborate is a new feature within zipForm® Plus that allows you to send documents to other Realtors or Clients for Review, Editing, Adding Additional Files and the Ability to View Document History. Select a Transaction that you would like to send for Collaboration. 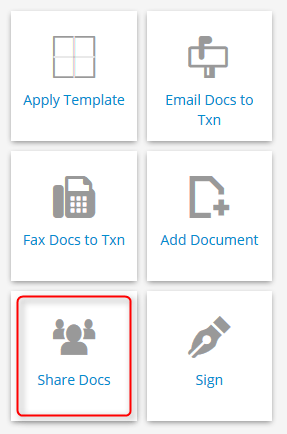 Once your transaction is open, select Share Docs. Select the icon for Public or Private Share. Click on Add a Person to start adding your Client(s) or other Realtors. 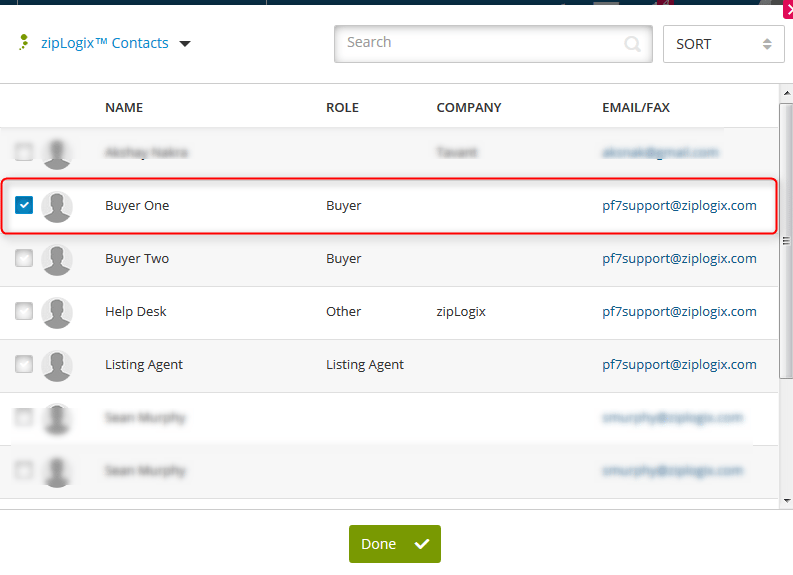 Select the recipient that you would like to Collaborate with from the Add Person menu selection, then click Done. Please Note: You can only select one party at a time. Transaction Parties: Client Information that has been entered into a form. 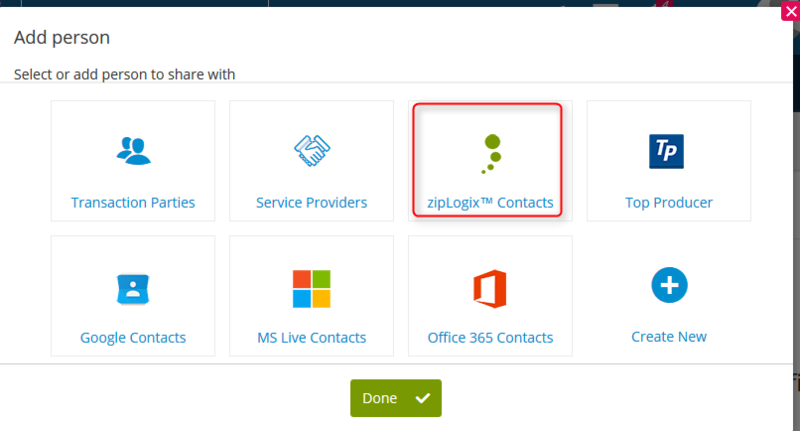 Service Providers: If you are connected with other zipForm® Partners, their company and email information will be displayed as a selection. New: Allows you to Manually add a party to receive Collaboration. 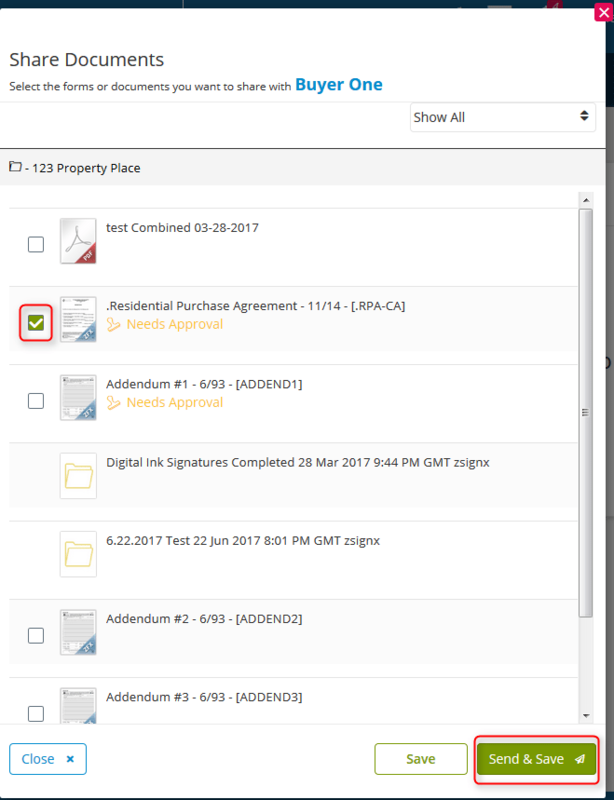 After choosing a recipient, select which permissions to assign the user. Can Edit Forms: Allows the recipient to modify forms. Can Add file(s): Allows the recipient to upload files. Can View History:Allows the recipient to view document history. Select the forms you wish to share with your recipient. A confirmation will appear stating that the email has been successfully sent.